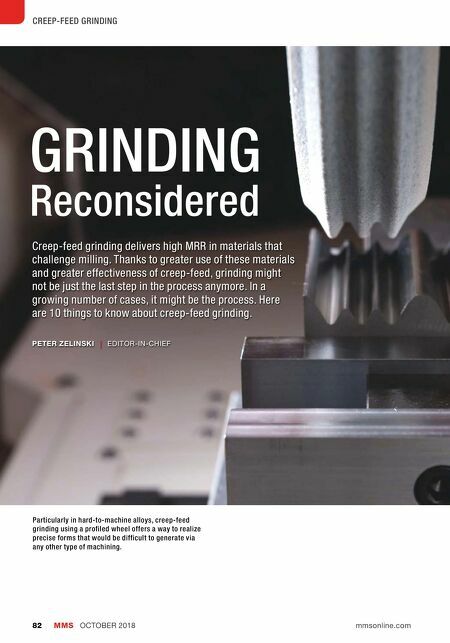 MMS OCTOBER 2018 82 mmsonline.com CREEP-FEED GRINDING GRINDING Reconsidered Creep-feed grinding delivers high MRR in materials that challenge milling. Thanks to greater use of these materials and greater effectiveness of creep-feed, grinding might not be just the last step in the process anymore. In a growing number of cases, it might be the process. Here are 10 things to know about creep-feed grinding. 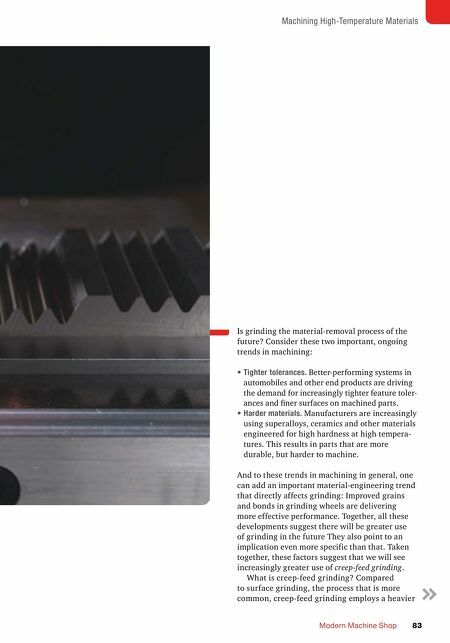 PETER ZELINSKI | EDITOR-IN-CHIEF Particularly in hard-to-machine alloys, creep-feed grinding using a profiled wheel offers a way to realize precise forms that would be difficult to generate via any other type of machining.